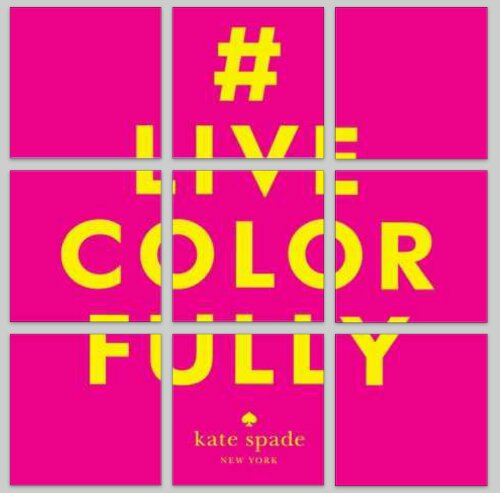 The above screenshot is from Kate Spade’s instagram account. I captured it a while ago but now that I moved over the weekend (hence lack of posts), it’s really fitting. Most of my decor for the living area is moha hues. Various browns and all my furniture from entire apartment is black. Yes it’s my fav color but I need more color in my life. So as I mentioned in this post, I plan to spray paint vases and decor items cobalt blue for my living area. 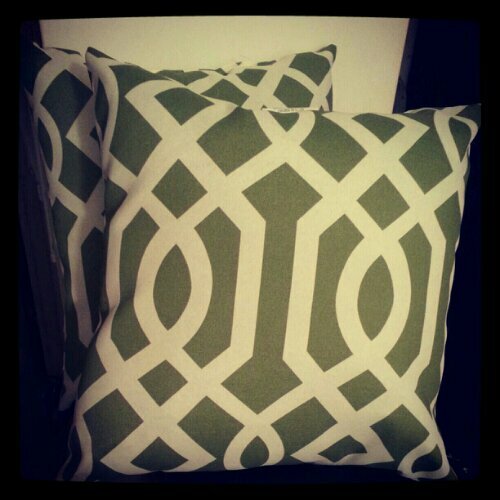 But I bought these pillows from Kohl’s, a score for $11 each. (Plus I had a 30% coupon…don’t you just love Kohl’s?). Initially I was inspired to sharpie marker the green after seeing a diy snow leopard sharpie marker chair transformation. I wanted to make the green black so I can have some classic black and white mixed in. My den is off of the living room and the base of that room will be b&w. BUT I am kind of digging the green and the color compliments plants I have so we’ll see. What have you bought that aligns with living colorfully? I plan to update IG more of things I buy and diy projects so stay tuned.